The special service must concentrate on counterintelligence. In the near future the National Security and Defense Council will consider the concept of reform of the Security Service of Ukraine, President Petro Poroshenko said on 24 March at an event marking the 25th anniversary of the creation of the SBU. "In the near future, the NSDC will consider the concept of reforming the Security Service using the best practices of NATO member countries. It is assumed that certain functions of the Security Service that are not inherent in the classical security services will be gradually given over to other law enforcement agencies," the president said. "The NABU, the State Bureau of Investigations, national Police will gradually take over the investigation of some official crimes and crimes committed by organized criminal groups. The SBU is and will remain the main counterintelligence agency of the state, and this component of the Service must be raised to a much higher level, as required by the real external threats to Ukraine," said Poroshenko. The president said it will be a matter of honor for all law enforcement bodies of Ukraine to uncover the murder of former State Duma deputy Denis Voronenkov, journalist Pavel Sheremet and the act of sabotage at the Balakliya minitions depot. "No one is insured against mistakes, even special services whose history runs back not 25 but a hundred years," the head of state noted. 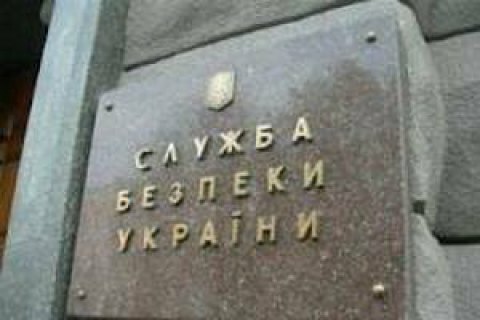 In the fall of 2015, the Verkhovna Rada adopted the law narrowing down the list of criminal offenses that fall under the jurisdiction of the SBU.